A large field on the south side of Huish, running alongside Salthouse Lane, was for many years simply known as Croft. By the time of the 1842 Tithe Map Croft had been split into two parcels - Parcels 309 and 309a - both known as "In Croft or Hewish". The 1846 Tithe Apportionment noted that Parcel 309 was used as pasture for grazing livestock, measured 2a 2r 27p and was owned by Robert Donn and the tenant was Berkley Newman. Parcel 309a measured 1a 0r 0p, was also used as pasture and was owned by the Portreeve and Burgesses of Yeovil and this time Robert Donn was the tenant. Around the year 1900 the Corporation purchased Fairfield, Huish. Fairfield, originally roughly between Salthouse Lane and Richmond Road, is now occupied by part of Wellington Flats, Queensway and the Royal Mail sorting office. During the Second World War the army set up a transport depot on Fairfield. At this time the plan was to have a couple of forty-eight people air-raid shelters in the field and one accommodating twenty four - a total of one hundred and twenty. In the event, three equal-sized shelters are seen at bottom centre in the aerial photograph taken in the 1950's in the Gallery below. These were probably shelters for thirty six, giving a total of one hundred and eight people. The shelters were removed after the war. 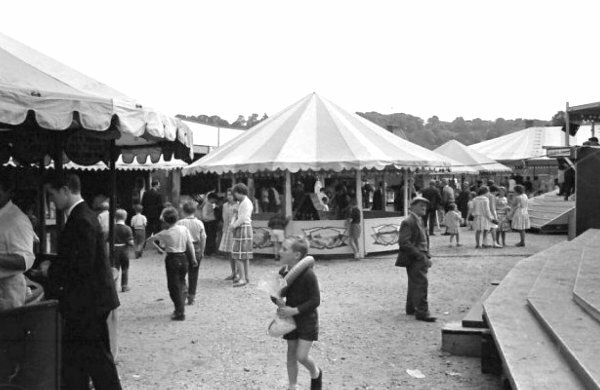 Yeovil's twice-annual fairs were held there and continued there until the 1970’s although by this time the character had changed to become the modern fair seen in the photograph below. 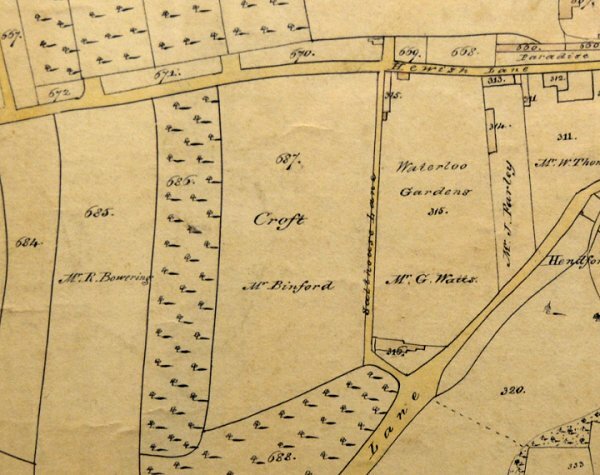 E Watts' map of 1831 shows the field known as Croft, parcel 687, to be owned by Mr Binford. 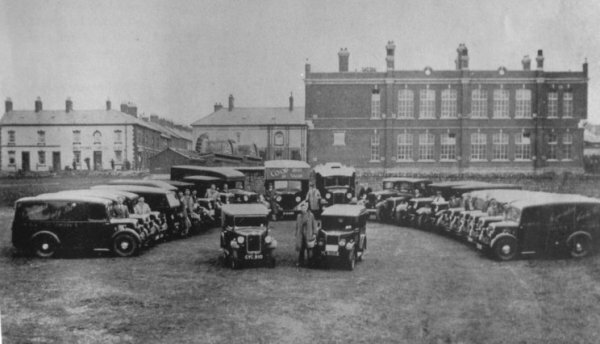 This photograph was taken in 1939 as part of the jubilee celebrations of the Yeovil and District Co-operative Society and their fleet of vans are lined up on Fairfield. The large building at right is the rear of Huish County Junior School, which is itself masking the view of Yeovil Town Football Ground with its famous sloping pitch. Queen Street is seen between the two-storey buildings to the left of the photograph with the Victoria Inn on the left corner, facing Huish. 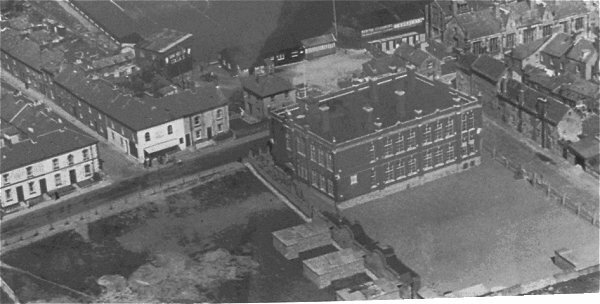 Three equal-sized air raid shelters are seen at bottom centre in this aerial photograph taken in the 1950's built for children and staff of Huish school. The Fairfield photographed in the 1960s (?) 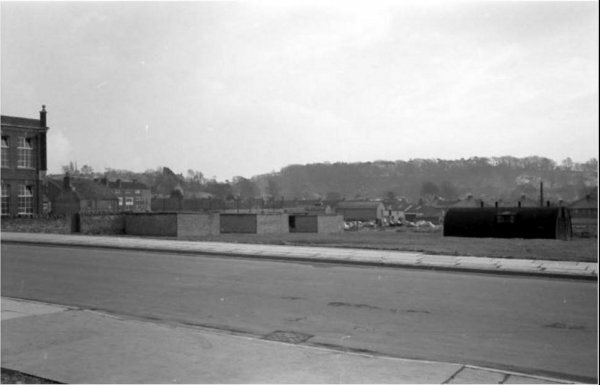 showing the three air raid shelters built for the children and staff of Huish school and, at right, an Army Nissen hut from when the Army occupied to southern end of Fairfield. From Patricia Ann Smith - "The shelter on the left was part bicycle shed and part games equipment store. There was a notice on the wall "A place for everything and everything in its place". The Nissen hut was used by the Red Cross for their training and we used to scare ourselves by peeping through the window to look at a skeleton inside! Not sure if it was a real one (it probably was) or a plastic one (unlikely in the early '50s)." The modern idea of a fair on Fairfield in the mid-1960's. 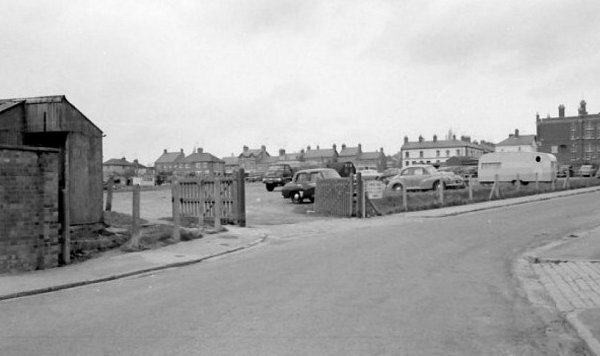 This photograph, looking across Fairfield when it was used as a car park, was probably taken at the same time as the previous, and looks across the fair field towards Huish. Salthouse Lane runs off to the right. 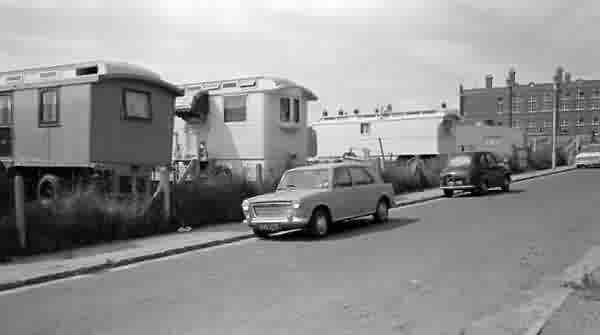 The caravans of the fairground workers are parked in the Fairfield while the fair is set up in the 1960s. An unusual photograph of 1972 showing Fairfield with the Post Office sorting office being constructed in the foreground and the fair set up in the background. 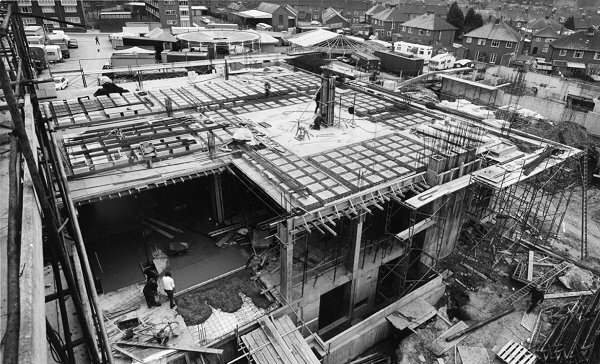 Also photographed in 1972, the new Post Office sorting office (seen scaffolded at left) reduced the amount of space for the fair. 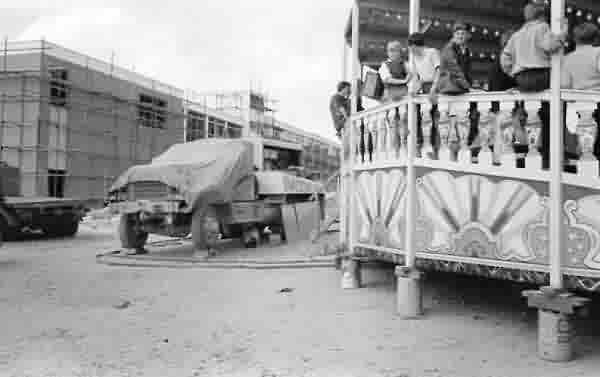 The fair would soon move to occupy Old Town Station car park for several years during the 1970s and early 1980s.